I love a good crystal ball moment, peeking into the future to see what the experts think will work and what has gone a little off the boil. 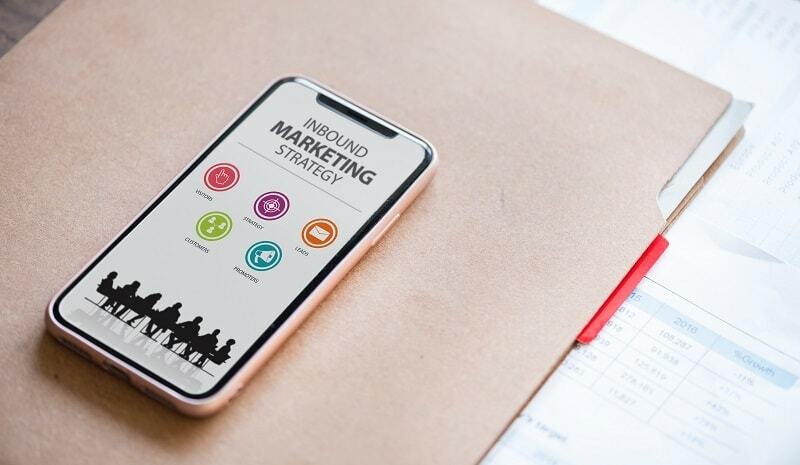 Digital marketing trends 2019 are lots of different areas that we will use to market our businesses online. It includes content marketing, social media marketing and all that fun stuff. But what are the big upcoming trends, what stuff should we keep doing to get our businesses noticed next year? Whenever I hear the phrase omnichannel marketing, it sounds almost a bit Zen (assuming I have a remote clue what something Zen really sounds like) – omni meaning ‘all, the whole, of every kind’. It is a kind of marketing approach that involves creating a harmonious customer experience, no matter where the customer finds you. 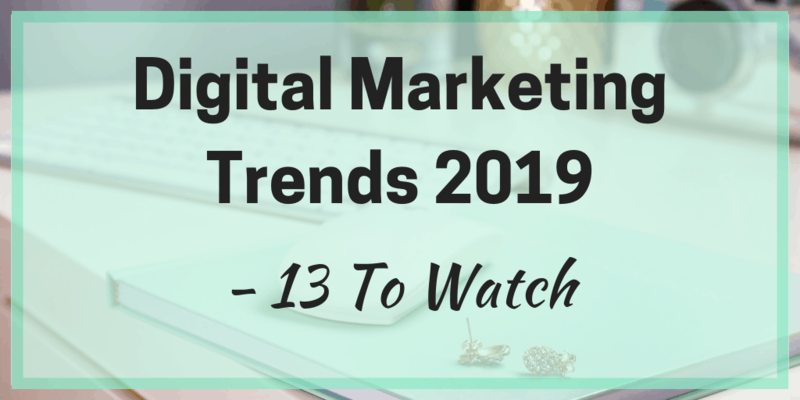 And it tops the list of digital marketing trends 2019 because it is an overarching theme to use all of the other trends with. Zen sounding? Nothing new about having a strategy but it is worth stating again that it is always on trend. When the strategy is digital marketing, it is important to have it in place first, before you start to try out these different trends. You know you need your omnichannel harmony, next you need your strategic approach on how you are going to offer this. Key with creating any strategy is assessing how it works (analytics) and making changes if things aren’t working after a certain period of time. Lots of people work in quarters or 90-day windows. Establish how long you are going to give the elements of the strategy, so you know when it is time to dive into those analytics and assess it. As a content writer, the idea of long form content isn’t a new one to me. I’ve been running into clients who want 1000-2000 word articles for a while now and that has become my new standard. In my own writing, I’ve always been a ‘write until it is finished’ type and that often runs over 2000 words. 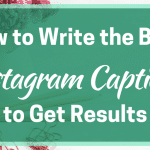 According to experts at BuzzSumo, this long form content will continue to be important in 2019 for a number of reasons – but the top two are that it gets shared more and it ranks better for SEO. Yes, I know it’s a bit boring. Video and live content have been up there every year for the last few and each year we are told it will be more important. 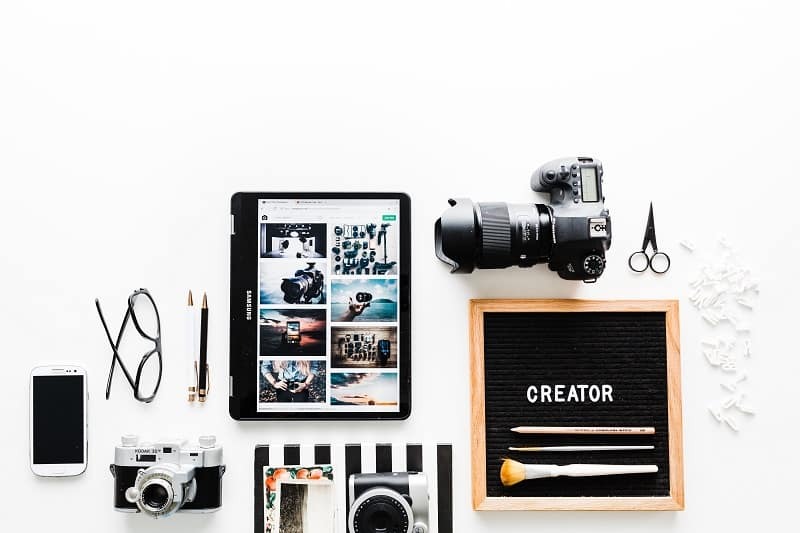 The reason for that is simple – each year people watch more video content, listen to more webinars and interact with people doing live content such as Instagram Stories and Facebook Lives. Here’s a figure – by 2021, 82% of global internet traffic is predicted to be accounted for by video. That means more people than ever will be consuming video and as marketers, we need to create that content to keep up with the competition. This includes live content and that ephemeral content that social media trends rave about. 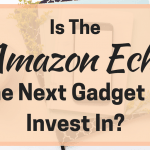 Do you have a voice activated device in your home? We do, we have an Amazon Echo. It can turn up the heating, tell us the weather and play music from Spotify. Then there are voice-activated assistants on the smartphones. And their use is set to increase. 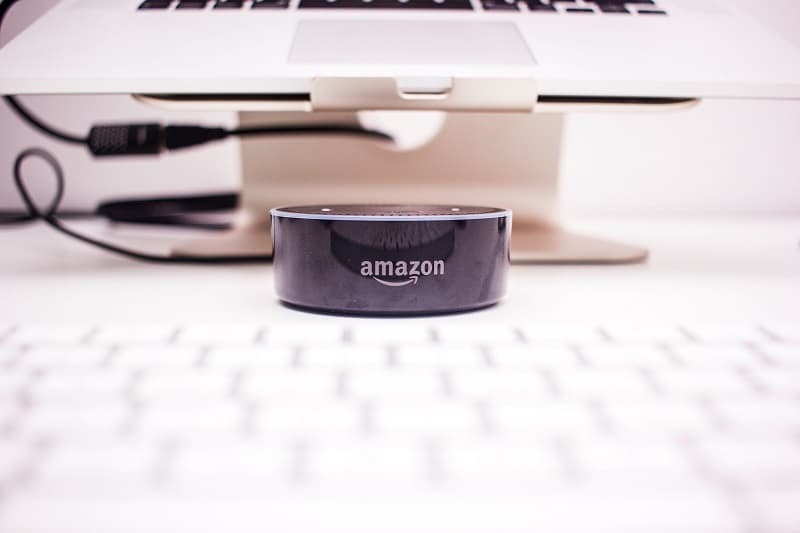 As marketers, that means we need to be aware of the area of voice search. It could mean new opportunities to engage with customers, new ways to advertise and may mean new ways to format content – so that search assistants can find and understand it. Prepare early! When I encountered this one in a report on digital marketing trends 2019 from Smart Insights, I was curious – what was a ‘digital experience’? Wasn’t using the internet a digital experience? Checking for the weather on a smartphone app? What they mean with a digital experience is a combination of what we do and how we do it, ensuring it is a positive experience. Mobile friendly is long gone – it is more like mobile compulsory now. And with things like Accelerated Mobile Pages (AMPs) coming along, the dominance of mobile means that all elements of your marketing need to be adaptable for the little screen. And site speed remains one of the most important factors. I think for the smaller business and blogger, being authentic isn’t too much of an issue – you are your business. But it is easy to fall into a ‘business’ personality and forget to be yourself. And often, it is that authenticity that has brought the customer to you in the first place. Consumer trust is a huge factor and a study last year found 91% of people would reward a brand for authenticity – which translates as spending money with them. Authenticity is huge with social media trends too. Because there is so much false and fake stuff out there, you want to be real, to be you or you risk being grouped with the fake news and clickbait idiots. It is funny how quickly things become normal. The first time I realised I was talking with a chatbot, I was fascinated. But now, they are a common thing – I even see them on the BBC news website, answering questions about stories and providing multi-choice scenarios. And for most consumers, chatbots are also normal, useful and something they easily accept. Perception of chatbots is largely positive. One study founds that 33% of people were positive, 48% were indifferent to them as long as they solved the problems and only 19% had a negative perception of dealing with a chatbot. So if chatbots can help you connect with your customers, there’s no reason not to use them. 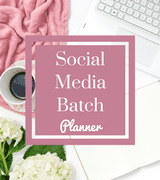 We’ve all heard things like ‘go where your customers are’ when we are considering which social media platforms to use. 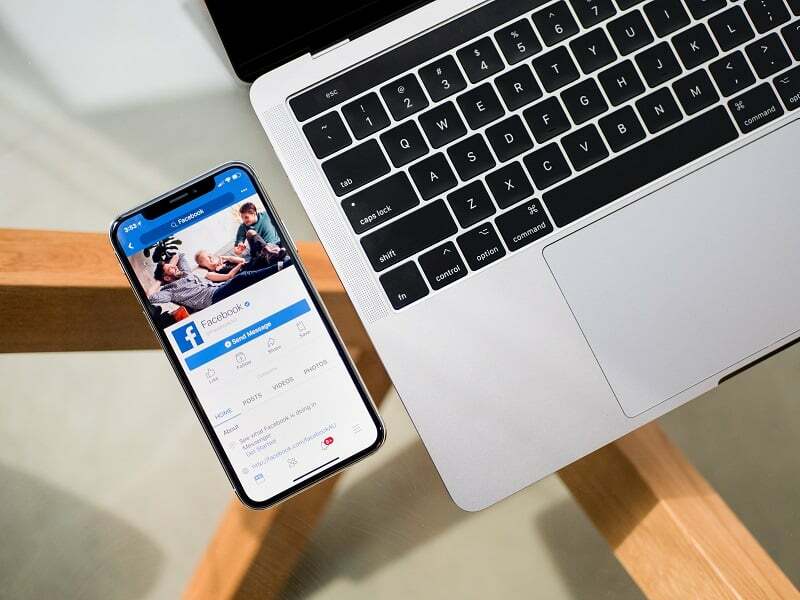 Well, one of the digital marketing trends for 2019 involves communicating as your customers do – but what does this mean? An article from Forbes gives a great example – a four-year-old pick up a classic watch and asks it to call Grandma. The watch obviously doesn’t respond, and the girl is baffled because she is used to a smartwatch that lets her make phone calls. Your customers can be a little like the girl – used to using certain apps or systems to communicate. So by getting in touch with them this way (in a non-spammy way) is a great relationship builder. Love it or hate it, Facebook is still an integral part of any digital marketing strategy. With its huge user base, it can’t be ignored but it is also worth remembering that there are other options and many of them are growing. For example, Facebook is largely static or declining in most age groups with the exception of 55+ age group (who now make up the biggest group of users). Instagram has seen an increase from all age groups with the 25-34 group the largest followed by the 18-24 group. Snapchat has moved on from being just for the teens with the 25-34 age group being the biggest to increase. 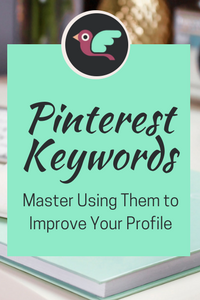 And when it comes to getting actual traffic to your website, look no further than Pinterest (which isn’t really a social media platform at all but a visual search engine). If you are in the B2B arena, then LinkedIn is the growing place to be. Some experts say that it has seen a growth to over 560 million users and is popular in 200 countries around the world. Twitter is less certain in its future but is still relevant for both B2B and B2C. Daily active user growth has increased despite all the gloomy forecasts of its demise. Email marketing trends are always the trickiest because there’s only so much you can do with it – or is there? The big trends with email seem to be around positive automation and personalisation and these trends look set to continue into next year. Back to that omnichannel marketing again – the aim should be to integrate email marketing into the customer lifecycle with content and using automation to make this happen. This often means using ‘big data’ and analytics to get the right content in front of the right people. I doubt any marketer would argue with this one – analytics is still key to marketing success. 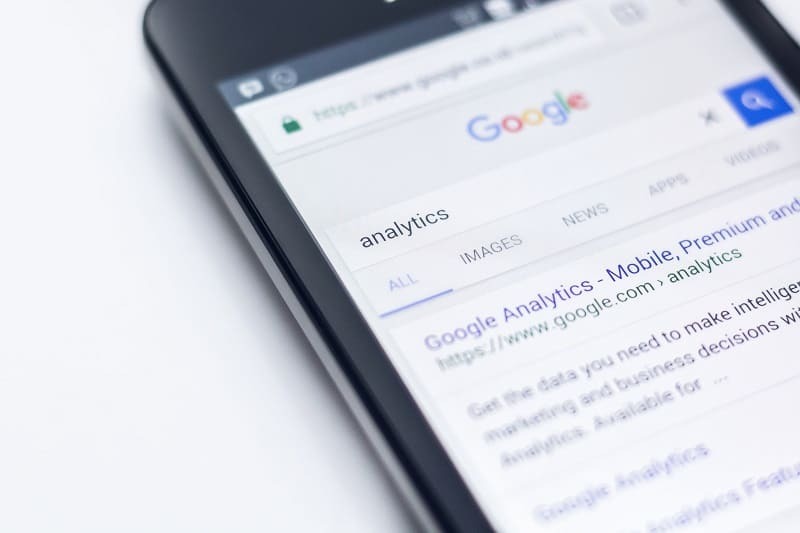 Google Analytics is still the go-to option for many businesses and there are also paid programs if you want more specific information. The use of dashboard reporting and analysis systems is also growing with tools such as Google’s Data Studio being used to create a picture of what is working and what isn’t. Lastly, this might seem weird in a trends report but don’t be afraid to be different and stand out from the competition. Like the company who went back to sending print newsletters to their customers and had great success, don’t be afraid to do something that you have researched and know your customers will react well to, even if no-one else is doing it. 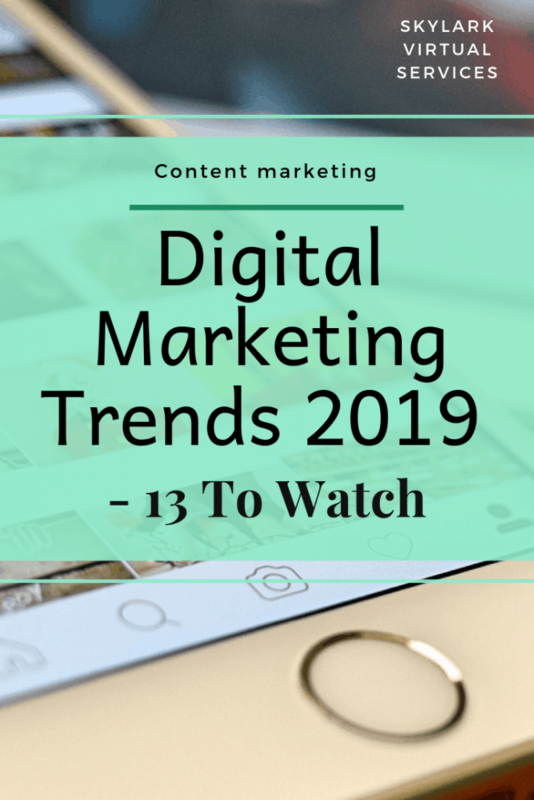 You don’t need to follow all of these digital marketing trends to have a successful 2019 but they are a good guide as to what other companies might be doing and what might work for you. Finding that place between where trends and your own experiences meet is the sweet spot for your own digital marketing success. Have a great 2019!! 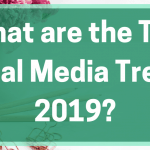 What are the Top Social Media Trends 2019? Need to create a strategy for your blog's content? This is packed with such great information! I’ve got to get to work to be ready for 2019. Digital marketing just keeps getting exciting, and the coming years seem more and more promising, that is why we at http://zeodigitalacademy.com are excited about the future prospects of digital marketing. Thanks for sharing a nice article. These points are really important. I cannot thank you enough for sharing these. Although I do have a lil problem and would love if you could have a solution to it. I have a one-page business website and dont have any content on it. How can I market it? Thanks! That’s a pretty complicated question but the first thing I would think about is where is your audience? Are they on Facebook? Do they use Pinterest? You need to think about where you can find them, what you want to attract them to and what you want to achieve. I would do some research about content marketing and sales funnels to help you plot this all out. Good luck!